Congratulations!! You have just discovered the best hen party idea out there! – A Butler in the Buff. That’s right- you read that correctly. You’ve stumbled upon what is quite possibly the best addition for any bash. These are stunning, chiselled and chivalrous men lining up to wait on you and your friends at your next party. And what’s more this is not just for hen parties. 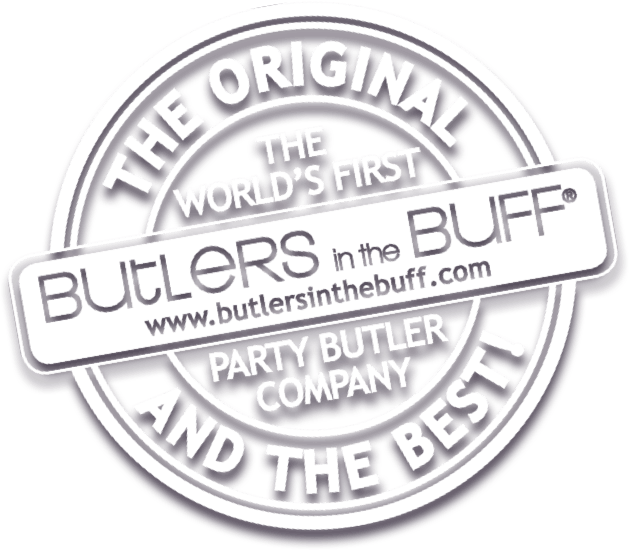 You can book Butlers in the Buff for baby showers, birthdays, housewarmings, pool parties or simply a girls’ night in! SO what is a Butler in the Buff – picture the diet coke break man, in little more than a white collar, bow tie and a little apron that doesn’t quite cover his tight, pert bottom! Let’s be honest, party games can get a bit stale after a while. Add in a hot guy wearing nothing but an apron and a bow-tie though, and your group will be entertained for hours! Whether you need them to facilitate prizes, quiz the group, or act as a live model to dress up, they’ve got you (partially) covered. We hear you! How do you book? Well, booking is easy and secure. You can get a price for your party butler here and from there you can book online with just a £30 deposit per butler!